My first encounter with the Belgian surrealist, René Magritte, was a special one. I took a class in my second year of college entitled “Cultural Studies: Modern French Culture”, it’s content unbeknownst to me. I expected a regimen of study centred around every day French life; such things as political influence or social behaviour came to mind. To my surprise, the module followed the lives of several influential artists throughout the 20th century, and the ways in which they shaped modern France. The most prominent of which, in my opinion, was René Magritte. 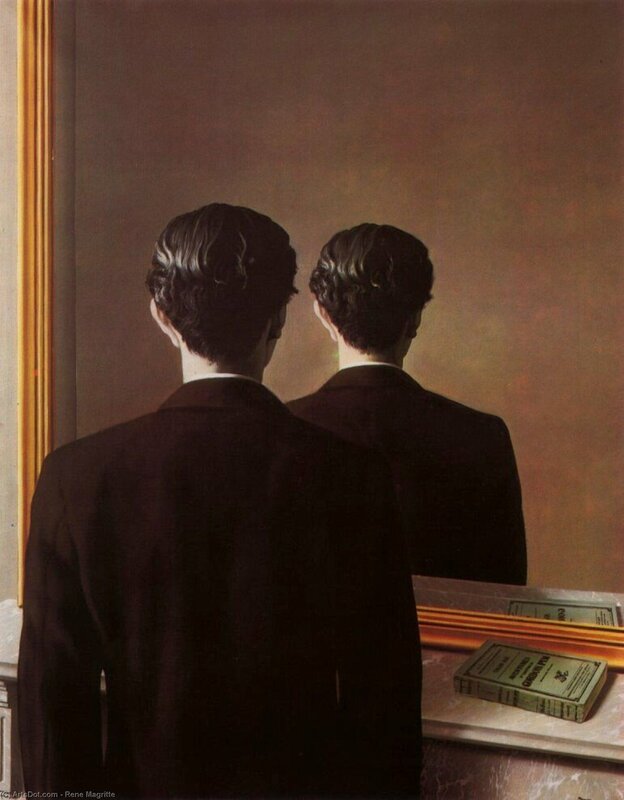 I always felt the purpose of art was to inspire, yet Magritte’s work always disturbed me. Still, as disturbing as it may be, two years on, I still find myself revisiting his work in the hopes of finding new meaning in the chaos of his creation. Initially, I found it difficult to decipher meaning when studying his work. For me, surrealist painting always had a stubborn spirit about it. Unobliging, and unwilling to move in any direction of sense. Magritte’s work was no different. Many of his paintings are arbitrary and sullen. He depicts scenes void of any concrete significance. Instead, he shrouds his ideas in disproportionate scenes of vivid abstraction, inviting the audience to interpret their own meaning. Yet, there is one of his works that does the complete opposite. Magritte’s 1929 painting, La Trahison des images (The Treachery of Images), approaches this idea directly. The image uses a language to communicate with the audience: language itself. The painting reads Ceci n’est pas une pipe, or this is not a pipe. Here, Magritte is directly addressing the link between vision and thought. At first, the painting’s idea seems trivial. It depicts an image of a pipe, and below, it reminds the viewer that this in fact is not a pipe, but simply a representation of one. He highlights our dependency on language to infer meaning. This hinge upon resemblance is the focal point of this painting, and even the act of painting itself. Of course, that isn’t a pipe, but what really is? The sentence states that “this” is a not a pipe, but who is to say Magritte is referring to the representation situated directly above it. In the Treachery of Images, Magritte is highlighting the role of language in our world, and the connection between it and the worlds depicted in artworks. The painting can be interpreted as a commentary on the act of creation itself. If someone asked you what the Mona Lisa was, you might say it was a woman – but in fact, it’s not, it’s a representation of one. In this little accident of language, we understands the idea that Magritte is evoking. What we see is not necessarily what we perceive, and reality, along with our interpretation of it, are never really the same. It’s disturbing how a simple painting of a pipe, and an accompanying phrase, can address such an abstract concept in a profound way. Magritte’s strength lay in the way in which he vacillates between literal meaning (explored above), and radical juxtapositions. This can be seen in his 1928 painting L’invention de la vie (The Invention of Life, shown right). In this surreal depiction, one identifies two main figures; a woman who stares ominously toward the viewer, and a second figure cloaked in a white cloth. Here, Magritte is investigating the relationship between the living and the dead. One poignant detail here is the way in which the tree located on the right almost appears as a dense black fog rising from the figure – suggesting man’s fragile interpretation of the dead. Magritte, like many artists, uses tragedy to fuel his work. One of the most traumatic experiences in the artist’s life was the death of his mother. Many art historians cite that his mother drowned herself when the artist was very young, and his last memory of her was of a body lying by a lake covered in a white cloth. Thus, it is clear this painting is not only addressing the relationship between life and death, but also represents the artist’s meditation on his mother’s death. The most disturbing detail, however, is the connection between the painting and its title. The Invention of Life suggests that life itself comes from death. The white cloak has connections to the depiction of ghosts in early cinema, to the idea of trauma, and how the dead can live on in the trauma of the living. Therefore, the cloak is highlighting the cyclical relationship between life and death. This cloak became a reoccurring theme in many of Magritte’s paintings. In his 1928 painting, Les Amants, (The Lovers), we can observe two figures covered in the same white cloth. The two figures, thought to be lovers, are likewise hidden. In both cases he is addressing the fragility of human life – literally, in The Invention of Life, but figuratively, in The Lovers. The white cloth in the latter is representative of the very real human instinct to conceal oneself and retreat inward. Even in love, as the title suggests, these figures have hidden themselves. The irrational juxtaposition is disturbing to reflect upon, especially when we consider the connection between the two paintings. In both, the white cloth is concealing the dead, or in other words, the lifeless. Finally, the artwork of Magritte’s I find the most disturbing is his 1937 painting La Reproduction Interdite (Not to be Reproduced). This artwork laments over the idea of expectation. Like many of his paintings, Magritte depicts a figure facing away from the viewer, remaining hidden. However, in this case, the man faces toward a mirror, suggesting that we should be able to see the man’s face. Yet, in typical Magritte fashion, our perception of reality is turned on its head. We simply see the repeated depiction of the man. The book that lay next to him on the mantelpiece casts a reflection, therefore paradoxically suggesting that the mirror is in fact a mirror. 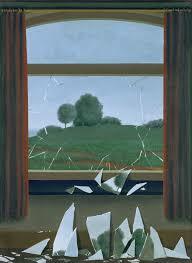 Magritte tends to hide the truth of the image behind what we perceive the image to be. Not to be Reproduced is an obscure interpretation of the expectations of the viewer. This harkens back to the idea expressed in his 1929 painting The Treachery of Images. What we see is not always the truth. A painting is never simply one thing, but an amalgamation of several ideas expressing themselves at once. As time goes by, I am beginning to understand fully the impact that Magritte’s work had on my appreciation of the artistic medium. Art does not have to express one thing. Magritte saw himself as a thinker, not a painter, and he used painting as a means of expressing his ideas. A lot can be said about the world around us, but there are few mediums that can do so as eloquently as art. 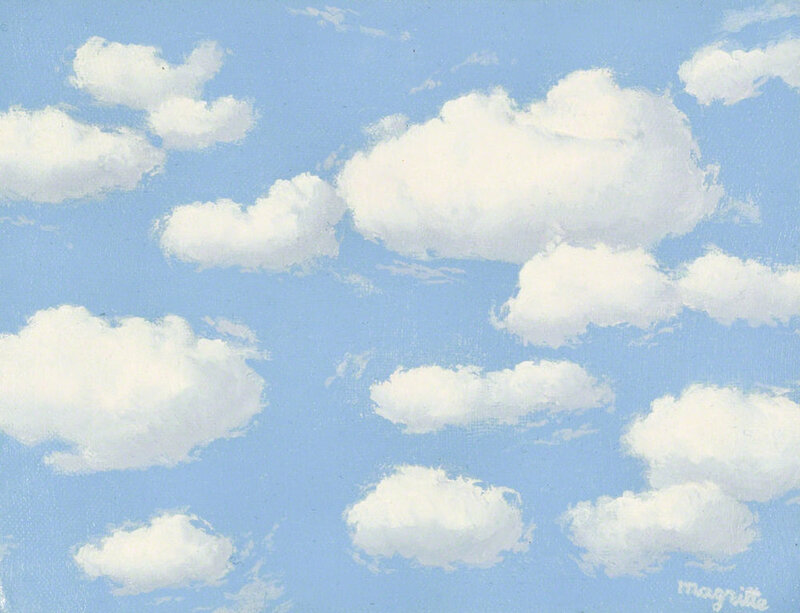 Magritte’s influence on the world of art, and those who admire him is, as his paintings remain, timeless.